True, even though the turn of events was as slow as turtle, it still has this great impact on me. It all started when a young boy was discreetly left by his girlfriend. The girlfriend left him a note: "off to cram school." After that, he haven't seen her again. Go ahead and feed your curiosity! Haha. 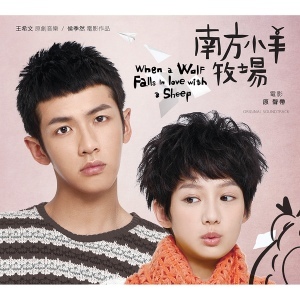 The movie, When a Wolf Falls in Love with a Sheep was beautiful. It is charming and heart warming. For cry babies, prepare. Hihi. 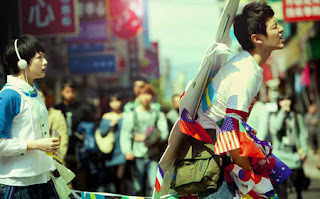 It tells us that when somebody abandons us, there's always a reason behind it and that we have to accept it. Who knows, they are happier now? It may be difficult but one way or another, it will happen at the right time and at the right place. Like in Ying's story, she waited patiently and when it's time to finally let go both the good and bad memories of the past, she had no regrets because she went through the real process of moving on. No fast forwards and no trying hard moments. She fully accepted it and didn't look back. Instead, she faced it with a stronger heart and a tougher self. Ying helped Mr. Lonely guy to accept change and eventually, he also did. It was really an inspiring movie. A movie that would teach you that moving on from a broken heart may not be that difficult after all. It may take some time, but in the end, all the pain that you went through every single day will be worth it.